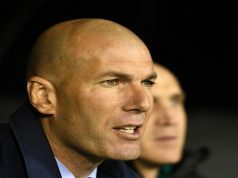 Real Madrid managed to keep Barcelona’s lead at the top of the table down to four points despite struggling to beat Rayo Vallecano. The hosts played a great first half and scared Carlo Ancelotti men, but the European champions reacted brilliantly after the break to seal the win with goals from Cristiano Ronaldo and James Rodriguez. Los Blancos had the best chances of the game. Ronaldo’s volley flashed wide of the far post, and Cobeno denied James Rodriguez’s effort with a great save. 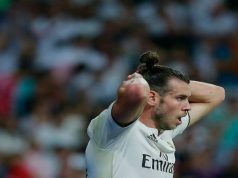 Gareth Bale managed to score after 20 minutes, but the goal was disallowed as the Welshman was offside when he received a through pass from Luka Modric. 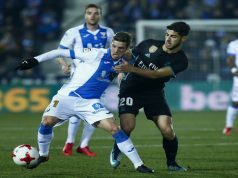 Los Merengues threatened their rival more often than Rayo, but the hosts where in control of possession and started gaining confidence. Manucho had a great opportunity to score as he flicked a near-post corner towards goal, but Casillas made a brilliant save. The Los Merengues goalkeeper saved his team again when Roberto Trashorras met a super cross from Tito and headed straight at the keeper. Ronaldo had the best chance of the first half as he met a free kick from James, but his header hit the bar. Los Blancos attitude changed in the second half. The seemed more motivated and eager to bring all three points home. Marcelo and Bale had two superb chances in the first minutes, but their shots just missed the post. James was brilliant in the playmaking zone, and he almost put Madrid ahead after dribbling past two defenders and sending one to the top corner, just above the bar. Ronaldo finally made it 0-1 for the visitors in the 68th minute. Carvajal made a great play in the right wing and sent a cross towards the Portuguese, who headed into the back of the net. Five minutes later, James sealed his superb performance with a brilliant goal. The Colombian found space to snick into the box and fired one to the bottom corner.